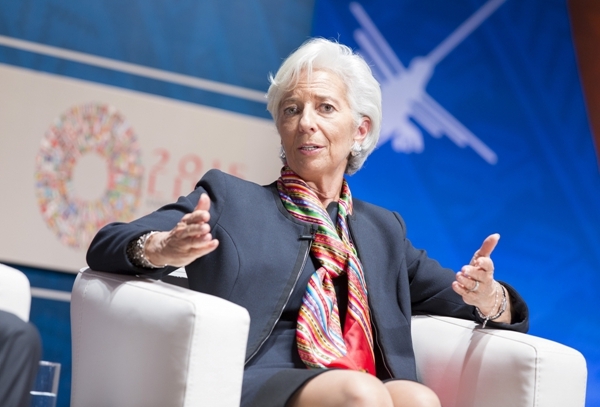 At the beginning of 2016, changes in the structure of the IMF at last came into effect which had been originally agreed in December 2010 under the impact of the international financial crisis. They gave China the third largest place among IMF quotas and meant that the BRIC economies (Brazil, China, India, and Russia) became among the 10 largest members of the IMF, joining the US, Japan, Germany, France, the UK and Italy. More than six percent of quota shares were shifted to developing economics. The reason for the prolonged five-year delay in implementing these necessary changes, reflecting the growing economic weight of developing countries, was that until the end of 2015, the US Congress refused to pass legislation to implement agreements already negotiated by the US government. It is clear what persuaded Congress to change its position. It was China's success in setting up the Asian Infrastructure Investment Bank (AIIB) and the refusal of key US allies, such as Britain, to go along with the US government's calls to boycott the AIIB. This made clear that if the US continued to block necessary reforms in existing international economic institutions, China had the strength to create alternatives and other countries would not endorse US inflexibility. The delayed change in the IMF illustrates China's overall approach to global economic governance. China clearly had not sought confrontation or attempted to bypass existing global institutions for no valid reason. On the contrary, China showed considerable patience when confronted with the prolonged foot dragging by the US legislature. Also, the AIIB from the outset was open to all countries. China showed the same patience in the rather lengthy process by which the RMB was included in the IMF's basket of currencies for Special Drawing Rights (SDRs). These cases confirm that China is pursuing a path of gradually and organically adapting multilateral economic institutions to take account of major shifts in the world economy and only being forced to go outside existing institutions if evidently required changes are entirely blocked. In contrast, the US has recently initiated a new foreign policy path of going outside existing global economic organisations in a confrontational fashion, as seen clearly with international trade. When the World Trade Organisation (WTO) was created in 1995, this was the culmination of seven previous rounds of post-World War II trade negotiations under the earlier General Agreement on Tariffs and Trade agreements (GATT). For half a century, the US had played a leading role in negotiating such multilateral agreements. With the emergence of China as the world's largest goods trading organisation, second only to the US in total trade, the most important multilateral negotiations to further liberalise world trade should clearly involve the US, China and the EU, the three main world trade centres. Instead of pursuing multilateral liberalisation, centring on the WTO, the US instead sought negotiations excluding China, seeking to arrive at agreements with some Pacific countries via the Transpacific Partnership (TPP), and with Europe in the Transatlantic Trade and Investment Partnership (TTIP). Therefore, while China pursued a strategy of maintaining and developing the framework of exiting multilateral organisations, except in the case where change in these is entirely blocked, the US deliberately initiated a process going outside them. The contrast is still clearer if the content of the proposed TPP is examined. Instead of being based on the most dynamic sectors of the world economy, which would include China, the TPP is an agreement between a group of economies declining in global economic weight. In 1985, economies in the proposed TPP accounted for 54 percent of world GDP. By 2014, this had dropped to 36 percent. The TPPs main mechanisms are aimed at protecting the position of the US and its companies. Under the TPP, private companies, principally US ones, would have the right to sue participating governments in courts which will be dominated by the US, whose decisions are binding on national governments. In contrast to the narrow TPP, China has advocated a wider multilateral Asia-Pacific Free Trade Agreement. Therefore, in trade, as the with IMF reform, China has been pursuing a multilateral approach, whereas the US has made a turn from earlier post-World War II support for multilateral agreements and organisations to unilaterally pursuing US interests. As most other countries benefit greatly from a multilateral approach, in which they also have a role to play in negotiations, why now is there this contrast in approach between China and the US and will it continue? The reason for this shift is clear. Contrary to the myth the US promotes, that it is a uniquely 'dynamic' economy, the reality is that the US economy has been slowing and its weight in the global economy declining. From 1984-2014, the US share of world GDP fell from 34 percent to 23 percent at current exchange rates. Taking a 20 year moving average, to eliminate the effects of short term business cycle fluctuations, average US GDP growth fell from 4.4 percent in the late 1960s to 2.4 percent by 2015. In summary, these economic trends explain and will strengthen the recent pattern whereby China has become the main pillar of adapting and extending existing global multilateral economic governance institutions, while the US takes a turn towards adopting a unilateral approach. This article originally appeared at China.org.cn.